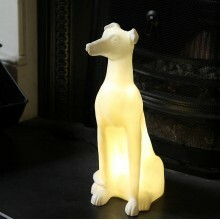 Buying gifts is never easy so why not be different and get q unique present. 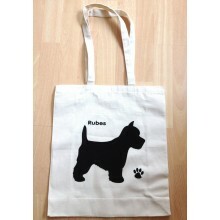 At Doggielicious we can offer a wonderful selection of gifts not only for dog lovers but for your beloved pooch. 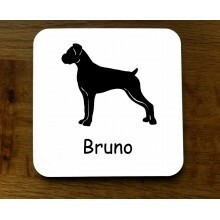 We have everything from personalised dog bowls and cushions to beautiful gifts for your home which have been inspired by our four legged best friends. 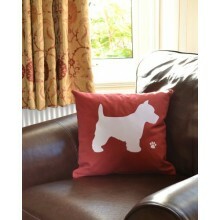 At last your search for the perfect present has ended. 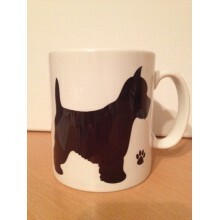 These beautiful personalised dog breed mugs are a must for all dog lovers and will give you an .. 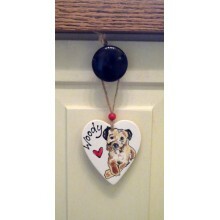 This beautiful mini portrait of your dog which has been hand-painted on a ceramic hanging heart will..
Super soft Lambswool knitted French Bulldog and Houndstooth patterned infinity scarf, gently felted .. 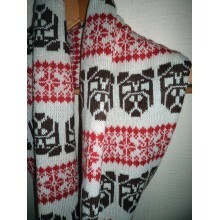 This super soft fairisle Pug knitted infinity scarf. 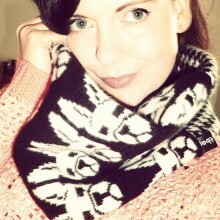 Inspired by matching what dogs wear with their .. 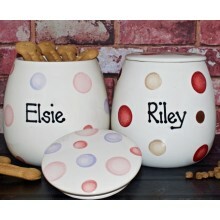 This lovely personalised ceramic treat jar is an ideal gift for dog owner and great for keeping.. 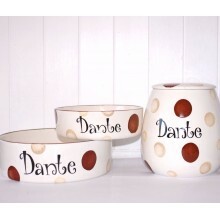 This lovely set of personalised ceramic dog bowls and treat jar is an ideal gift for any dog ow..